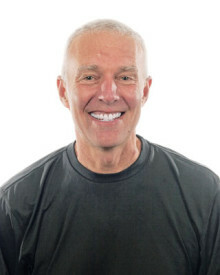 Barry Libert is a business executive, author, and speaker based in Boston, Massachusetts. He has more than 25 years of executive leadership and entrepreneurial experience, and has been instrumental in advancing the awareness and use of Web 2.0 and social technologies within the business world.Libert is the Chairman and CEO of Mzinga, the leading provider of social software, services, and analytics that improve business performance,He has published four books on the value of social networks and human interaction. He is a regularly featured keynote speaker and has delivered speeches to audiences of 20,000+ globally. As co-author of the critically acclaimed book “We Are Smarter Than Me,” Mr. Libert and his co-authors highlighted the power of social technologies by using the Wiki-based contributions of more than 4,000 people to illustrate how businesses could profit from the wisdom of crowds. Mr. Libert has also co-authored two additional books on the value of business information and relationships. He has been published in Newsweek, Smart Money, Barron’s, The Wall Street Journal and The New York Times and he has appeared on CNN, CNBC, FNN and NPR. In addition to forging Mzinga’s vision and strategy, Mr. Libert currently serves on the Board of Directors at Innocentive and The SEI Center for Advanced Studies in Management at The Wharton School of the University of Pennsylvania. In 2000, Mr. Libert founded Shared Insights, one of Mzinga’s predecessor companies. Prior to Shared Insights, he was a senior partner at Arthur Andersen and John Hancock. He began his career with McKinsey & Company. Mr. Libert is a graduate of Tufts University and holds an MBA from Columbia University. He currently lives in Boston, Massachusetts with his wife and two sons. His latest book, “Barack, Inc.: What Business Leaders Can Learn from the Obama Campaign” was published in January, 2009. Do you want to hire Barry Libert? Directly request a quote. In 48 hours we can send you the availability of Barry Libert If you would like to book Barry Libert, Entertainment Booking Agency is the right place. We will offer you the best price and contact the management or we directly contact Barry Libert. For corporate appearances or speaking engagements you can contact our agents and the will help you true the process. Tags: hire Barry Libert, Barry Libert booking, book Barry Libert, Barry Libert appearances, find more information on booking Barry Libert for appearances, Barry Libert speaking engagements, Barry Libert endorsements/spokesperson, Barry Libert appearance fees, Barry Libert booking agency contact info, biography of Barry Libert, Contact an artist booking talent agent find a speakers bureau that can book Barry Libert, speaker booking agency for Barry Libert, Barry Libert booking agency, Barry Libert booking for corporate event. EBA is one of the biggest entertainment booking agencies in the World. We book hundreds of celebrities, artist, athletes and speakers in a year. Important to know is that we are not claiming to be the management of Barry Libert. We are not the official agent for Barry Libert. Companies from around the globe book these artists and speakers true our company be course we have one of the biggest networks and we always have direct contact with the artist or the management. We help you to find the right celebrities for your corporate of private events. Please contact one of our agents to get free advice and we will help to get the world-famous artist on your party.